India's PSLV rocket carrying the electronic intelligence satellite, Emisat for the DRDOand 28 other third-party satellites lifted off from the second launch pad in Sriharikota on Monday. A new variant of India's Polar Satellite Launch Vehicle (PSLV) rocket on Monday, April 1, carrying the electronic intelligence satellite, Emisat, for the Defence Research Development Organisation (DRDO) and 28 other third-party satellites lifted off from the second launch pad in Sriharikota. The whole flight sequence will take about 180 minutes from the rocket's liftoff at 9.27 am. The 28 international customer satellites, 24 from the US, two from Lithuania and one each from Spain and Switzerland will weigh about 220 kg. 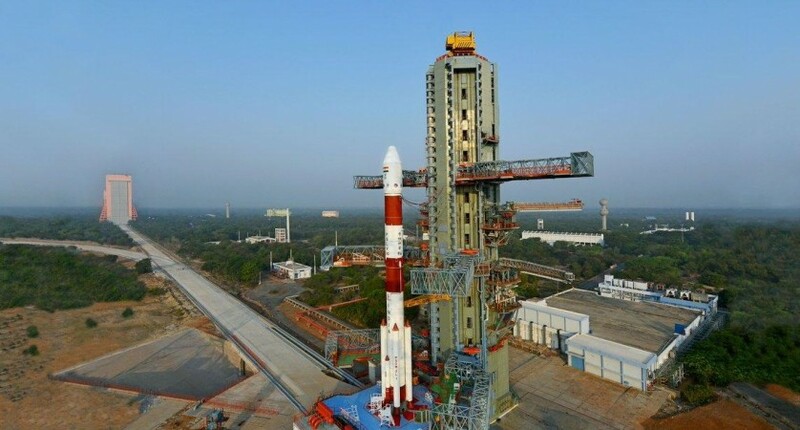 But the 44.5-metre tall rocket that lifted off on Monday had four strap-on motors and its configuration is designated as PSLV-QL.